Hongyi Yang is Controller for Argonaut Investments. 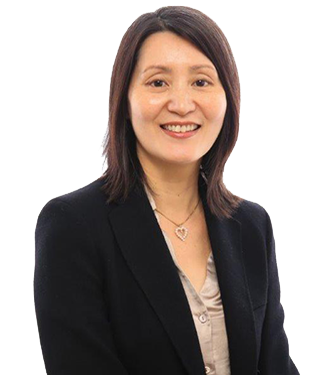 Hongyi joined Argonaut Investments in April 2013 and is responsible for all aspects of accounting as well as financial reporting for the company. Prior to joining Argonaut, Hongyi was the Regional Controller at Larkspur Hotels & Restaurants, in charge of financial reporting for its Pacific Northwest regional hotels. She spent more than eight years with Larkspur, where she started as Manager of Hotel Accounting in 2004. Soon she took over corporate consolidations and then took charge of the Payroll & Accounts Payable Department, which served 23 hotels/restaurants with over one thousand employees in California, Oregon and Washington. Prior to Larkspur, Hongyi spent four years with Joir de Vivre Hospitality as Assistant General Manager for the Nob Hill Lambourne Hotel in San Francisco. Hongyi received her MS degree, with honors, in accounting from Golden Gate University. She also holds a BA degree in Hotel Management from San Francisco State University.